Our choir welcomes everyone; there are no tryouts. If you love to sing and are willing to attend weekly choir practice, please come join us! The choir sings at Sunday services about once a month, sharing special music and leading the congregation in singing hymns. 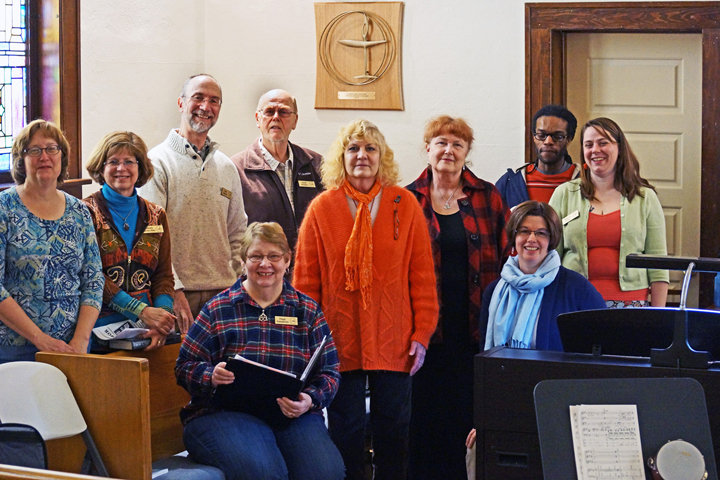 Small ensembles from the choir sometimes sing for services on other Sundays. Rehearsals are in the sanctuary each Thursday evening, September to May, from 6:00 to 7:30 pm. New choir members are always welcome. Come share in this fun and meaningful way to be part of the Harbor UU community.